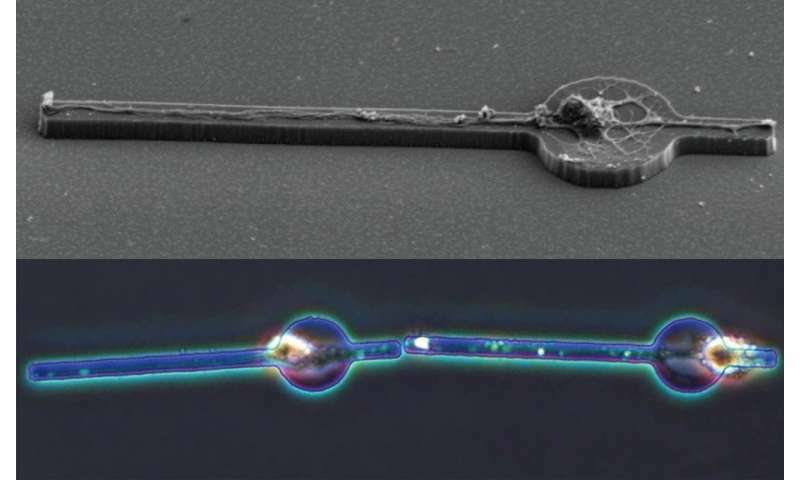 In a report published in Micromachines, researchers at the University of Tokyo Institute of Industrial Science describe their new method to create one such model using microscopic plates to connect neurons together one cell at a time. Research into the brain typically involves the use of in vitro cultures, which are collections of neurons grown together in a dish. A culture represents, in effect, a highly pared-down version of a brain that can be chemically or electrically manipulated. While cultures are indispensable to neurological research, they suffer from considerable limitations. "In vitro culture models are essential tools because they approximate relatively simple neuron networks and are experimentally controllable," says study first author Shotaro Yoshida. "These models have been instrumental to the field for decades. The problem is that they're very difficult to control, since the neurons tend to make random connections with each other. If we can find methods to synthesize neuron networks in a more controlled fashion, it would likely spur major advances in our understanding of the brain." The researchers took advantage of recent insights into how neurons behave; namely, that geometric shapes can guide neurons, telling them where and how to grow. In this case, the team used a synthetic neuron-adhesive material to make a microscopic plate. The plate is circular with two protruding rectangles, somewhat resembling a bead on a tight string. They found that this shape guides neurons to grow in a very defined way: When placed on the microplate, a neuron's cell body settles onto the circle, while the axon and dendrites—the branches that let neurons communicate with each other—grow lengthwise along the rectangles.